I have a mission for you all. Let’s help the next issue of Strange Kids Comic come to life. 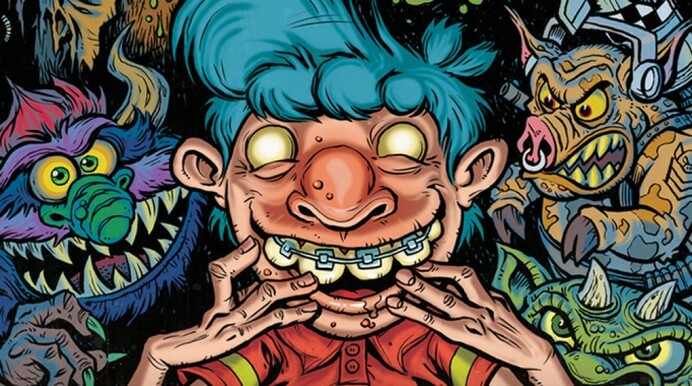 Rondal Scott III heads up the awesome blog Strange Kids Club, and he’s trying to get the next printed issue into you hands. It’s all happening on Kickstarter. The magazine is chock full of vintage toys and horror-inspired content. It also includes a slew of artists and other contributors like Madballs’ artist James Groman among others. And guess what, even I have a small part in the project.